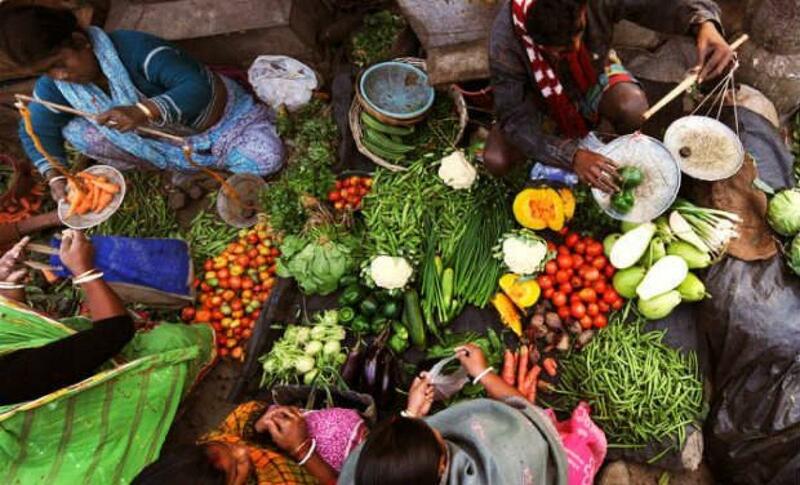 India\'s inflation dived to a new low in August, helped by falling global commodity prices, bolstering prospects of an interest rate cut by the Reserve Bank of India (RBI) later this month. India's inflation dived to a new low in August, helped by falling global commodity prices, bolstering prospects of an interest rate cut by the Reserve Bank of India (RBI) later this month. Retail inflation, which the central bank tracks to set rates, eased to 3.66 percent in August from a revised 3.69 percent a month ago. The reading was almost in line with 3.6 percent forecast by analysts in a Reuters poll and way below the Reserve Bank of India's 6 percent target for January 2016. It came hours after other government data on Monday showed wholesale prices tumbled for a tenth straight month last month, falling an annual 4.95 percent compared with a provisional 4.05 percent slide in July. With price pressures at record lows, expectations are building that the RBI will lower borrowing costs by at least 25 basis points (bps) at its next policy review on Sept. 29, after three cuts earlier this year, to spur economic growth. "The inflation trajectory will be lower than RBI's estimate," said A. Prasanna, an economist with ICICI Securities Primary Dealership Ltd, who expects the central bank to deliver a 25 basis points of rate cut a fourth time this year. Calls for a rate cut have grown louder after annual economic growth slowed to 7 percent in the April-June quarter from 7.5 percent in the previous quarter. And some economists fear real growth is more sluggish than official figures suggest. Arvind Panagariya, a top policy adviser to the government, last week said the economy needed 50-100 bps of rate cuts. Being a net importer and consumer of commodities, India is reaping the dividends of a slump in global prices of coal, oil, iron ore and other basic materials. The rapid deceleration in prices has ignited a debate in New Delhi whether Asia's third-largest economy is heading towards deflation. Arvind Subramanian, Modi's chief economic adviser, early this month warned of looming deflation and called for measures to boost consumer demand and step up investment. RBI Governor Raghuram Rajan, however, is worried about a resurgence in price pressures in a country where inflation has been notoriously volatile. While food inflation has broadly remained in check despite below average summer monsoon rains, prices of some staples such as onions are racing up. Retail vegetable prices, for instance, gained nearly 8.5 percent from July. Entrenched expectations of high inflation also are feeding into higher wages. Some economists are worried about a pickup in overall retail inflation once a favourable base effect wears off. "Food will be a worry in coming months because whatever base effect that was supporting the CPI number will fade in coming months," said Madhavi Arora, chief economist at Kotak Mahindra Bank in Mumbai. For the RBI's action, as for many other central banks' around the world facing sluggish growth, much will depend on whether the US Federal Reserve raises interest rates this week for the first time since 2006. Easing policy at the same time as the Fed is tightening, however modestly, could spur further capital outflows from emerging markets. While some analysts believe the chances of a September hike have eased amid fears of a China-led global slowdown, any fresh burst of financial market volatility following the Fed's decision on September 17 could force the RBI to stand pat. "We expect the Fed to not hike rates in September, which means if RBI cuts rates this month then it may aggravate the capital outflow situation," said Indranil Pan, group chief economist at IDFC Ltd.